Hipsley Lane, Hurley, Atherstone - Mark Webster & Co.
***A BEAUTIFULLY SITUATED SUBSTANTIAL HOME - SEPARATE TWO STOREY DETACHED BARN - FORMER STABLES - FOUR DOUBLE BEDROOMS - LARGE GARDENS***. 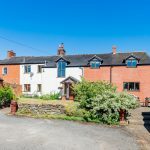 For sale with MARK WEBSTER estate agents is this delightful country property that has been extended to offer an excellent range of spacious and flexible accommodation and makes the perfect family home. The property stands within large gardens surrounded by various outbuildings offering excellent potential for further development (subject to relevant planning consent). CANOPY PORCH Having a delightful oak framed porch with tiled pitched roof, lantern style wall lights and door to the reception hall. RECEPTION HALL Having a useful storage cupboard, tiled floor and stable style doors leading to the open plan inner hallway and kitchen/diner. LARGE FAMILY KITCHEN/DINER 24' 2" x 13' 8" (7.37m x 4.17m) A great space and centre hub of the home having double glazed French doors leading out to the rear garden, double glazed window to front aspect, tiled floor, extensive range of oak units with granite work surfaces, centre island unit providing an excellent range of additional storage with granite work top, dresser style unit, various glass fronted eye level display cabinets, recessed good sized propane fed AGA oven with side electric AGA oven with stone walling behind, canopy spot lighting over the sink area, built in dishwasher and fridge freezer, door to the sitting room and access to the formal dining room. FORMAL DINING ROOM 13' 7" x 10' 9" (4.14m x 3.28m) Recessed ceiling down lighters, double panelled radiator, tiled floor, double glazed French doors to rear and side aspects, door leading to the utility room. USEFUL CLOAKS CUPBOARD 5' 5" x 4' 2" (1.65m x 1.27m) Tiled floor and ample cloaks pegs. GARDENERS WC 5' 5" x 4' 2" (1.65m x 1.27m) Opaque double glazed window to side aspect, tiled floor, chrome towel radiator, low level WC, wash basin and tiling to half height. SITTING ROOM 16' 5" x 13' 9" (5m x 4.19m) Having a beautiful oak floor, double glazed window to rear aspect, double panelled radiator, stunning feature fireplace with inset cast iron log burning stove with decorative wooden beamed mantle, beamed ceiling, door to the lounge and open plan hallway. LOUNGE 16' 5" x 16' 5" (5m x 5m) Beautiful oak flooring, double glazed French doors leading out to the rear garden, two double panelled radiators, two double glazed windows to front aspect, traditional style feature fireplace having a cast iron log burning stove having a wooden beamed mantle and recessed bricked back and sides. OPEN PLAN HALLWAY Oak staircase leading off to the first floor landing, oak flooring, door giving direct access to the reception hall and door to the guest WC. GUEST WC 6' 2" x 2' 7" (1.88m x 0.79m) Double glazed window to side aspect, chrome towel radiator, low level WC, wash basin and tiling to half height. BEDROOM ONE 23' 9" x 13' 9" (7.24m x 4.19m) Double glazed windows to three aspects, two double panelled radiators and a wide range of fitted bedroom furniture. BEDROOM TWO 16' 8" x 10' 4" (5.08m x 3.15m) Double glazed window to rear aspect, double panelled radiator, fitted wardrobes and bedside drawers, door to the en-suite. EN-SUITE 6' 7" x 6' 5" (2.01m x 1.96m) Double glazed window to front aspect, chrome towel radiator, low level WC, pedestal wash hand basin, shower cubicle and tiled walls. BEDROOM THREE 14' 2" x 10' 3" (4.32m x 3.12m) Double glazed window to rear aspect and double panelled radiator. BEDROOM FOUR 13' 5" x 9' 10" (4.09m x 3m) Double glazed window to rear aspect and double panelled radiator. IMPRESSIVE FAMILY BATHROOM 13' 10" x 10' 3" maximum (4.22m x 3.12m) Double glazed window to front aspect, low level WC, bidet, pedestal wash hand basin, roll top bath set on chrome claw feet, tiled shower cubicle having a traditional style mixer shower, chrome towel radiator, travertine tiled floor and tiling to half height. FIRST FLOOR WC 6' 2" x 2' 6" (1.88m x 0.76m) Double glazed window to side aspect, travertine tiled floor, low level WC, tiling to half height and single panelled radiator. TO THE EXTERIOR The property is approached by a remote controlled electronic farm style gate with driveway leading to a large concrete courtyard providing parking for several vehicles. There is a detached 'Wagon Hovel' with stone walls, brick support pillars, tiled pitched roof and open bays overlooking lawn with mature trees, hedgerow and large pond. Please note that there is a public footpath that runs to the side of the hovel through the curtilage of the property. 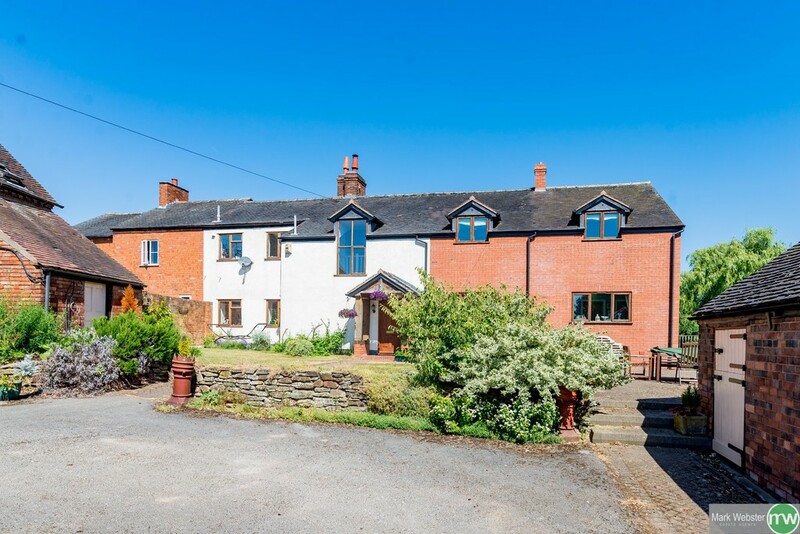 There is also a large detached two storey barn that offers excellent potential for further development (subject to relevant planning consent) and a former stable block providing useful stores. Tarmacadam driveway with access to further brick stores, dwarf walling to the front of the property with raised gardens having a patio, block paving, seating area, an additional store to the side. Feature timber decking with balustrades and lighting running to the side of the property. Garden with bordered lawns, orchard, hedgerow surround, external lighting and delightful views over the adjoining fields. SERVICES: Drainage is via a septic tank. The water and heating is both provided by a biomass boiler located in the brick building located close to the property. It is run by sustainable wood pellets. COUNCIL TAX: We have been informed that the property falls under tax band 'G'. However we would advise any potential purchaser to verify this should they wish to pursue with the purchase of the property.